Sometimes sweet treats happen when your desperate and today, that's exactly the case. I wanted s'mores but didn't have graham crackers, so just regular ol' snack crackers had to do. I also only had strawberry marshmallows and red velvet flavored chocolate hearts. You might say "those aren't s'mores ingredients", but I beg to differ. 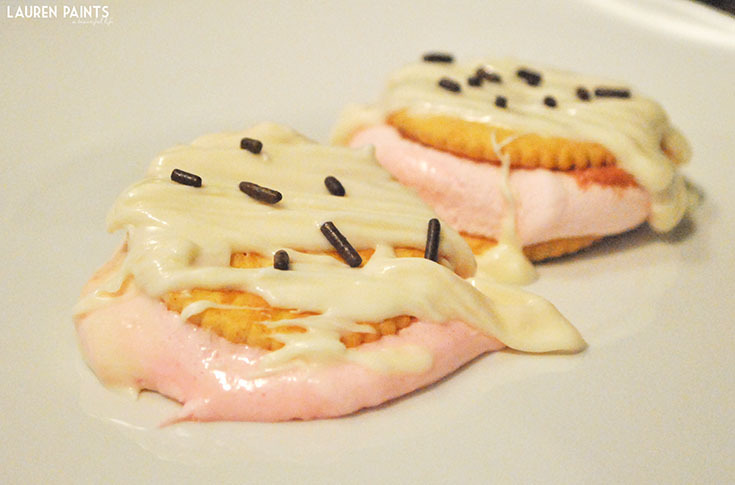 These delicious little pieces of heaven are going to wow your taste buds. The unexpected combination of snack crackers and red velvet chocolate is mind blowing-ly tasty and the almond bark coating makes these perfectly sweet treats, that much sweeter. 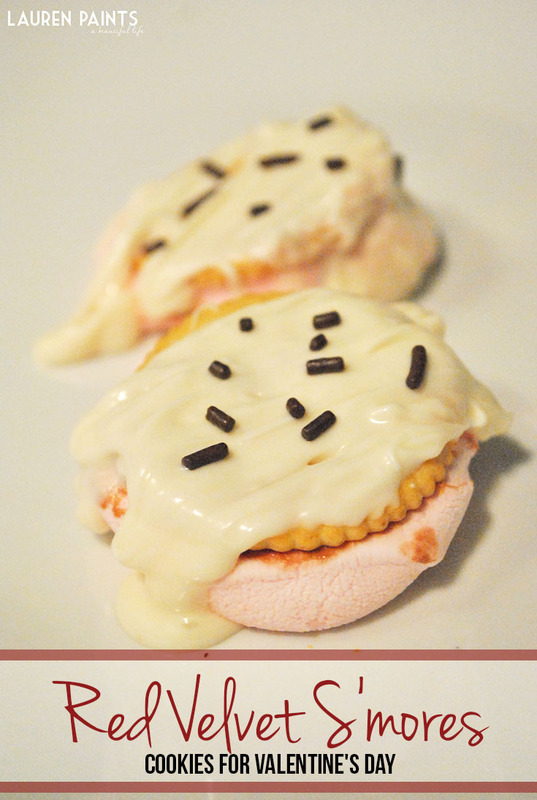 If you are looking for a way to treat yourself on Valentine's Day (because it's perfectly okay to treat yourself) or your sweetie, these Red Velvet S'mores Cookies are the way to go! 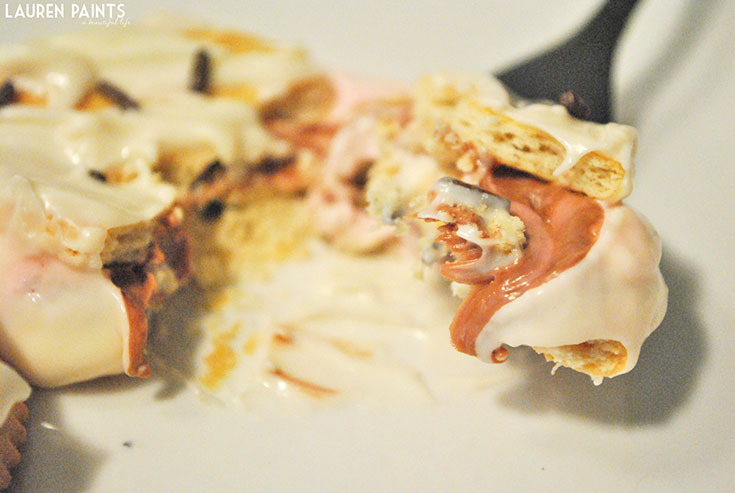 Place Marshmallow and chocolate on top of a cracker and microwave for 10-15 seconds or until marshmallow is puffy but not overdone. Add 2nd cracker onto the stack and allow them to cool. Once cool dip into melted Almond bark and allow "cookies" to cool once again. Add chocolate sprinkles, if you wish.